Losses to FHA on the HECM reverse mortgage program should focus on reducing adverse selection by attracting more seniors who are not financially desperate. The HECM reverse mortgage program has been bleeding red ink. Losses on transactions in which the loan balance at termination exceeds the net recoverable property value have been larger than the insurance premiums FHA collects from all HECM borrowers. 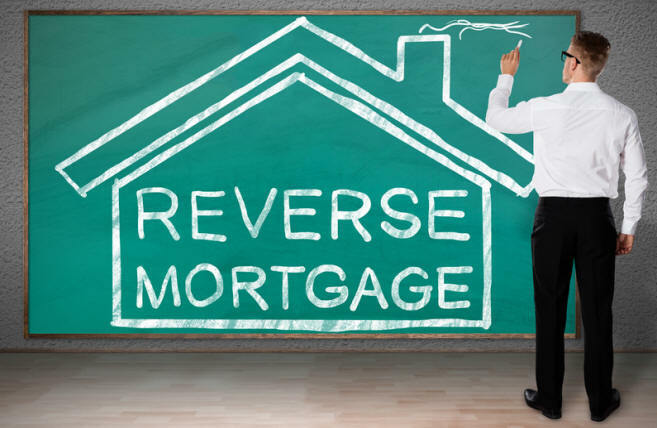 According to news reports, the new FHA Commissioner, Brian Montgomery, is considering measures that would reduce the amounts that seniors could draw on reverse mortgages. Smaller draws would result in slower growth in loan balances, and other things the same, in reduced losses to FHA. Adverse selection is the bane of insurers and FHA is no exception. HECM borrowers are not a cross-section of senior homeowners. A large proportion of HECM borrowers are financially desperate, a HECM is their last resort and they draw the maximum amounts permitted. Equity retention is not an objective and they are not scrupulous in maintaining their property. In contrast to the “desperates”, there is a much larger group whose lives could be enriched by a HECM, for which purpose they would not necessarily need to draw the maximum amounts permitted. If they did take a HECM, many would retain some equity for their heirs, an objective that protects FHA against loss. For these “solid seniors”, the HECM is optional but very few exercise the option. HUD’s objective should be to attract more of them. Provide a Basic HECM Education Function on HECM Draw Potential. Encourage Conversion of the Existing Dysfunctional HECM Market Into a Shoppers Market by Certifying HECM Multi-Lender Networks (MLNs). Encourage Integration of the HECM into Retirement Strategies. This is directed to the large group of senior homeowners who could profit from a HECM reverse mortgage but under existing circumstances are not motivated to pursue it. They might pursue it if information about how a HECM might help them was readily available from a highly visible and completely trustworthy source. That source could be HUD’s web site. The existing market for HECMs can best be described as a “gotcha” market in which distrust is a major by-product. The objective of HECM loan providers is to attract potential borrowers into making contact, then collecting the information needed to entangle them in a process that encourages them to take a HECM but discourages them from looking elsewhere. Prices are disclosed only after a senior discloses the property address, their email address and in some cases their social security number. As a result, very few prospective HECM borrowers contact more than one lender. 1. Compilation of Price Data From Multiple Lenders: The MLN should maintain a relationship with enough lenders that it can offer at least three independent price quotes in every state. This can be done with three national lenders that operate in every state, or with a larger number of lenders that have limited geographical coverage. 2. Provision of Draw Amount Trade-off Technology: The MLN should provide an easy-to-use tool that allows a senior with no prior HECM knowledge to define the HECM draw option or options that they want. The tool must allow the senior to try out different combinations of draw options to find the preferred combination. Maximum cash draw at closing. Maximum sum of cash draw at closing and after 12 months. Maximum credit line after X years where the borrower sets X. Maximum monthly payment for as long as the borrower resides in the house. Maximum monthly payment over Y years where the borrower sets Y. Minimum debt after Z years where the borrower sets Z. Back in the 90s, HUD toyed with the concept of a Computerized Loan Origination network or CLO in connection with standard mortgages. Nothing ever came of it, perhaps because the need was less then compelling. I changed the name from CLO to MLN because HECMs are very different and the need for what a network can provide is more than compelling.